Libby on the Label: #52 Ancestors Week 21 - "Military"
#52 Ancestors Week 21 - "Military"
All of my direct line Colonial American ancestors had left the country by the time the Civil War began. There are soldiers in my immediate family. My father and paternal grandfather served in World War II, but not on the front lines. Researching my dad's paternal relatives, I came across a major military family in the UK. Since none of my immediate relatives were involved in real combat, I've decided to take a look at this line's military service. My 4th great uncle, Archibald Park, was only three months old when his father (my 4th great grandfather, Alexander Park) died. My ancestor, John Park, was the oldest of 11 children in this family. For some reason, I wanted to figure out what happened to that baby! Archibald must have had a close relationship with Henry Veitch his maternal uncle, and brother of my 4th great grandmother, Alison Veitch . After Archibald married, he moved to Madeira, Portugal where his Uncle Henry lived. He was a successful wine merchant traveling the world, to places like Jamaica and New York. He and wife Elizabeth Solly had 5 children who were born and raised in Madeira. Reverend Mungo Travers Park was their eldest child. He was a prolific letter writer. His great grandson, Geoffrey Faux, came across many of his letters in 1982 after his mother passed away. They were amongst some boxes she had in her attic. After two years transcribing the letters and painstakingly researching the family tree, he published a book called A Victorian Odyssey:The 1858-1872 Letters of Mungo Travers Park. I learned a lot about the lives of our shared grandparents from this book, and am very grateful for his entertaining and informative work. His research brought to life people who were previously just names on a page. 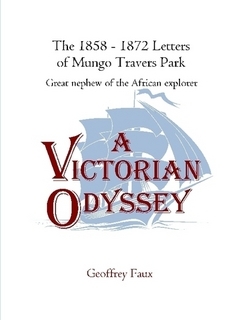 It made me curious to fill in the generational gaps between Reverend Mungo Travers Park and my 5th cousin Geoffrey. Here is where I came across two very brave war heroes. They were a father and son who both died in battle; the father in World War I and the son in World War II. Colin Archibald Mungo Park was Reverend Mungo Travers Park's youngest child, baptised in Oundle, UK, December 12,1887. He married Marion Alexandra Haswell, known as "Mamie", in 1912. They had three children, the youngest being son John Colin Mungo Park. Colin enlisted in the military upon the outbreak of the First World War. He became a private with the 7th Battalion of the 7th Royal Sussex Regiment. By October, 1918 he had been promoted to Lance Corporal. Weeks later, on October 25th, Colin was killed in action during a battle in France. 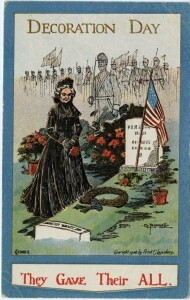 Sadly, the end of the war was just days away, November 11, 1918. He was awarded the British War Medal and Victory Medal for his service. He is buried in the Valenciennes (St Roch) Military Cemetery just a few miles away from where his son John Colin Mungo Park is laid to rest. John Colin Park was just 7 months old when his father died. At some point he adopted the surname Mungo-Park, which is how he was known throughout his adult life. As fate would have it, he grew up to become a highly decorated Royal Air Force fighter pilot in World War II. I remember seeing several pictures of this soldier on ancestry websites. This week I figured out our connection. He is my 3rd cousin 2x removed. It's kind of easy to note that you're on the right track with the Parks. Every family is peppered with the names Mungo and Archibald, like my own father Archibald Park III. John Mungo-Park's wrecked Spitfire, "The Burbage"
Flight Lieutenant John Colin Mungo-Park's Spitfire 4X668 was shot down during a battle with the Germans in Belgium on Friday, June 27th, 1941. 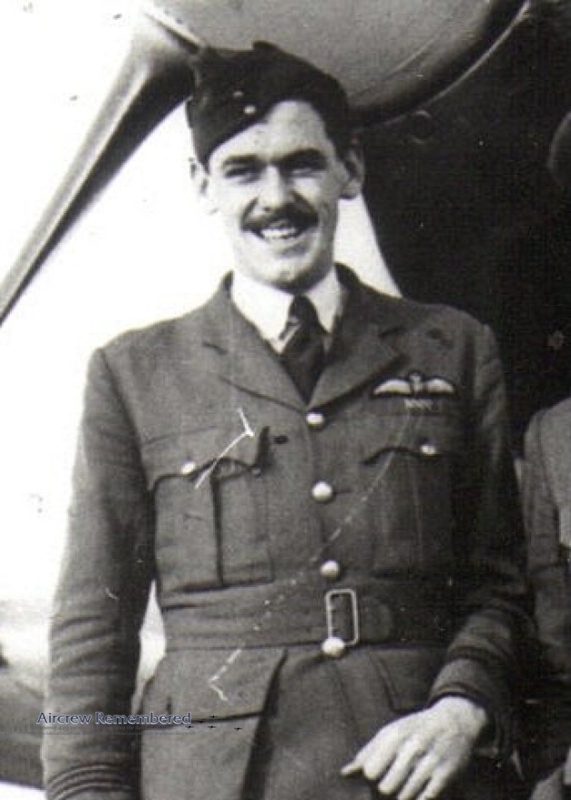 His page on the website Aircrew Remembered gives a detailed account of what was happening in the battlefield that day when he made the ultimate sacrifice in service to his country. He is buried in Adinkerke, Arrondissement Veurne, West Flanders (West-Vlaanderen), Belgium. On May 22, 2006 there was a Service of Remembrance held at his gravesite. A commemoration booklet from that day has been posted online by the 74(F) Tiger Squadron Association. It's heartwarming to read how this distant cousin affected so many lives. The service was spearheaded by a man called Johnny Recours. His father gave him the photo pictured here along with others from the crash site. His story about finding out who was in that plane, along with memories from John Mungo-Park's friends and family are in the booklet, linked here. I'll be the first to admit that Memorial Day equals fun in the sun, food and friends for me. I'm going to be sure and have a moment of reflection this year, to remember our heroes who gave their lives defending our freedom. I'm grateful once again for taking part in this weekly challenge to honour our ancestors.